Sometimes I want to add a quick and low budget bit of pop to an outfit. 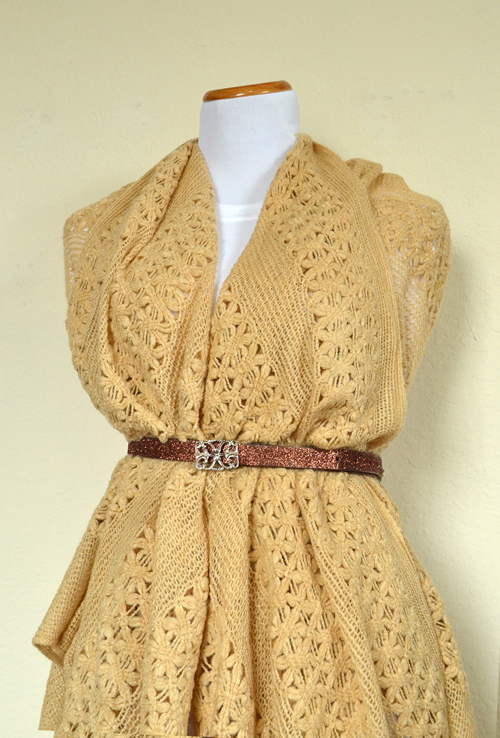 Loving my over-sized throw-like cardigan, I thought it would be nice to cinch it with a skinny belt for a more fitted look. And then it seemed only right to toss in a bit of glitter as well! 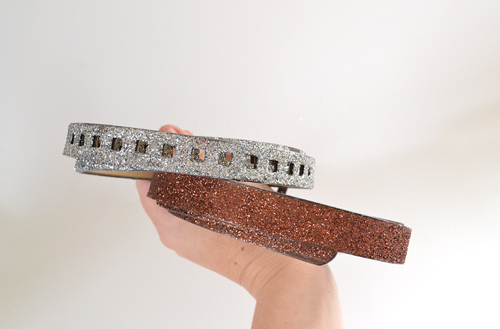 I love this skinny belt. 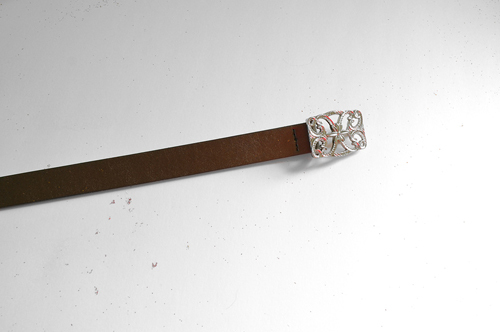 It's plain and brown, which isn't bad in and of itself but it has a fabulous buckle! 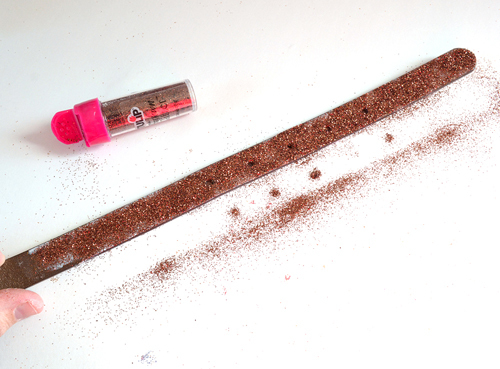 Sprinkle glitter liberally over a piece of paper to easily collect and return the stray glitter back into your tube. Allow to dry and rock it out! 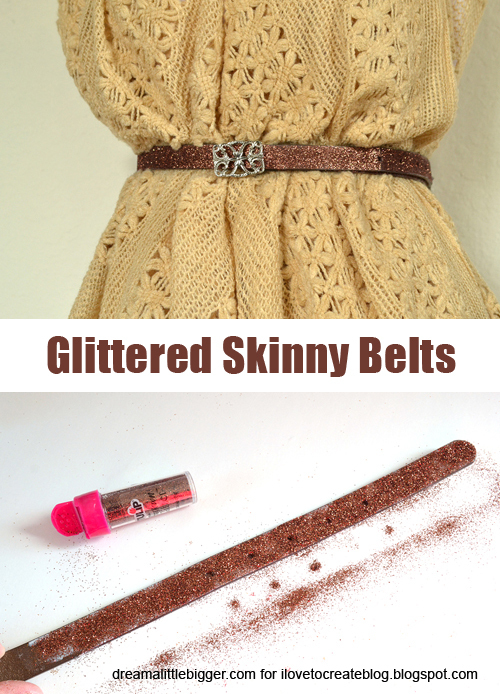 I decided to go brown glitter on my brown belt to keep things kind of sedate, but on my belt with square cut outs thought SILVER was the way to go for an edgier look! All in all, this project took about 5 minutes. The hardest part was waiting for my belts to dry! 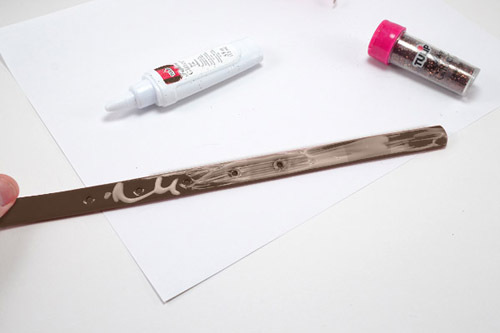 For more fun projects, I hope you'll visit me at Dream a Little Bigger!